The New 2016 California Series Models are Almost Here! – Play UBass! The New 2016 California Series Models are Almost Here! Yay! New California Solid body ubasses are on the way! 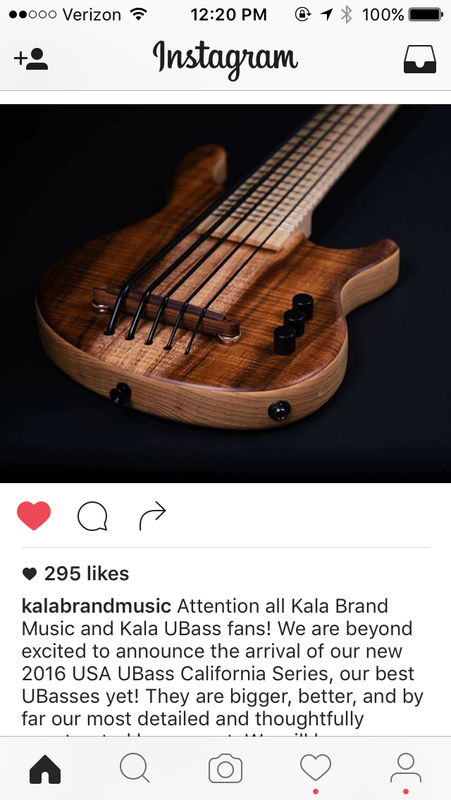 Kala’s Instagram Post announcing their new 2016 California uBass Models. Kala says it plans to make available for preorder its new 2016 California uBass Series on August 12. Check out their Instagram post for more information. < New song lesson…subscribers will get it first!